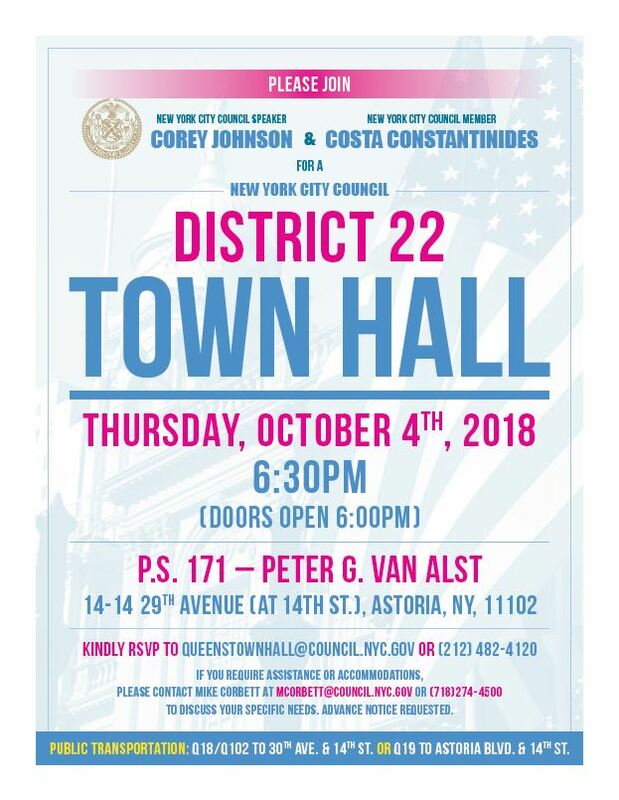 Astoria’s Councilman Costa Constantinides is hosting a town hall on Thursday, October 4 at PS 171. This time, it won’t be with the mayor. Constantinides will be hosting the event with City Council Speaker Corey Johnson. They’re expected to talk about victories in their most recent budget, how they will impact District 22, and the legislation they are working on now. But come with questions. 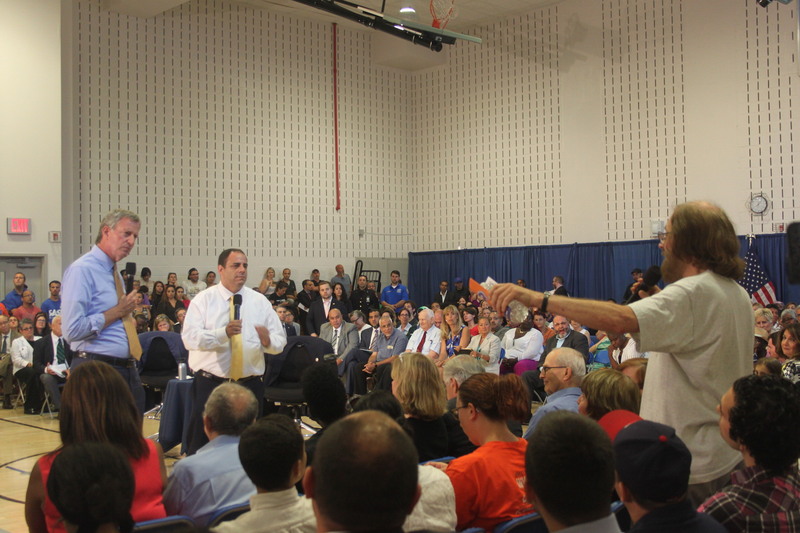 The politicians will also be hearing residents’ concerns, so there is no better time or place for your local official to address your queries. Doors open at 6 p.m., and the town hall will begin at 6:30 p.m.
PS 171 is located at 14-14 29th Avenue. 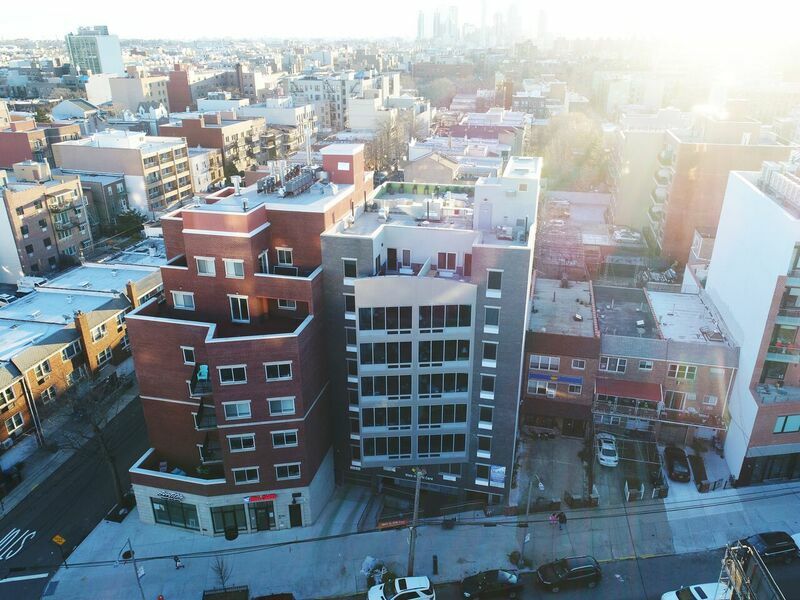 Take the Q18 or Q102 to 30th Avenue and 14th Street, or the Q19 to Astoria Boulevard and 14th Street. To RSVP, email queenstownhall@council.nyc.gov or call 212-482-4120. Anyone in need of assistance or accommodation can email mcorbett@council.nyc.gov or call 718-274-4500.